The weekday serialized episodes are generally acknowledged as some of the finest radio detective shows ever produced. There were fifty six multi-part shows in all: fifty four five-part shows, one six-part show, and one nine-part show. The serialized episodes continued until November 2, 1956 when the series again reverted to a once a week, thirty minute format. Bob Bailey continued in the lead, until "The Empty Threat Matter" of November 27, 1960, when the Hollywood run ended. The guest stars and supporting casts were always first rate, attracting the best radio actors in both Los Angeles and New York. Pat McCracken was played by several actors – most frequently, by Larry Dobkin. Particularly noteworthy was the work of Virginia Gregg, who played many roles, including Johnny's girlfriend Betty Lewis. Harry Bartell was also a frequent guest, who did many of the Spanish dialect roles when Johnny went to a Latin American country. Other frequent guest performers were Parley Baer, Tony Barrett, John Dehner, Don Diamond, Sam Edwards, Herb Ellis, Frank Gerstle, Stacy Harris, Jack Kruschen, Forrest Lewis and Howard McNear. Show Notes From The Old Time Radio Researcher's Group. THIS EPISODE: November 25, 1956. CBS network. 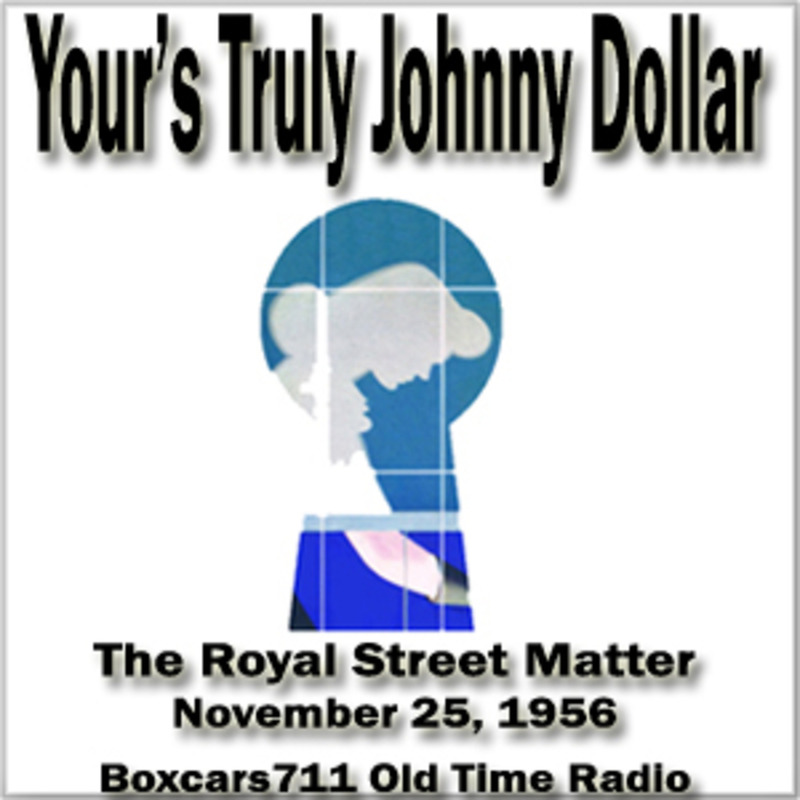 "The Royal Street Matter". Sustaining. A New Orleans antique shop has had a fire, but the owner refuses to file a claim! Why? Bob Bailey, Virginia Gregg, Forrest Lewis, Lou Merrill, Lawrence Dobkin, Frank Gerstle, Dan Cubberly (announcer). 30:20. Episode Notes From The Radio Gold Index.